Sunday Reflection: What is true worship? Question: "What is true worship?" 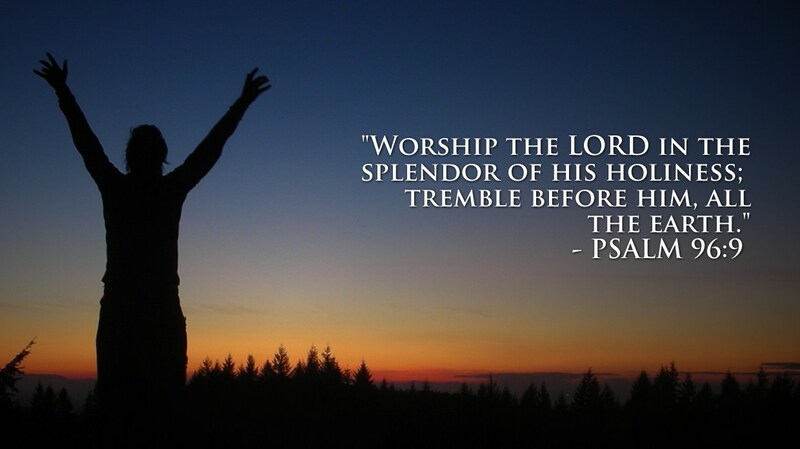 True worship is God-centered worship. People tend to get caught up in where they should worship, what music they should sing in worship, and how their worship looks to other people. Focusing on these things misses the point. Jesus tells us that true worshipers will worship God in spirit and in truth (John 4:24). This means we worship from the heart and the way God has designed. Worship can include praying, reading God's Word with an open heart, singing, participating in communion, and serving others. It is not limited to one act, but is done properly when the heart and attitude of the person are in the right place. It’s also important to know that worship is reserved only for God. Only He is worthy and not any of His servants (Revelation 19:10). We are not to worship saints, prophets, statues, angels, any false gods, or Mary, the mother of Jesus. We also should not be worshiping for the expectation of something in return, such as a miraculous healing. Worship is done for God—because He deserves it—and for His pleasure alone. Worship can be public praise to God (Psalm 22:22; 35:18) in a congregational setting, where we can proclaim through prayer and praise our adoration and thankfulness to Him and what He has done for us. True worship is felt inwardly and then is expressed through our actions. "Worshiping" out of obligation is displeasing to God and is completely in vain. He can see through all the hypocrisy, and He hates it. He demonstrates this in Amos 5:21-24 as He talks about coming judgment. Another example is the story of Cain and Abel, the first sons of Adam and Eve. They both brought gift offerings to the Lord, but God was only pleased with Abel's. Cain brought the gift out of obligation; Abel brought his finest lambs from his flock. He brought out of faith and admiration for God.